Thumbs up for offering open-source firmware, Buffalo, but make sure it exposes all the router's features. 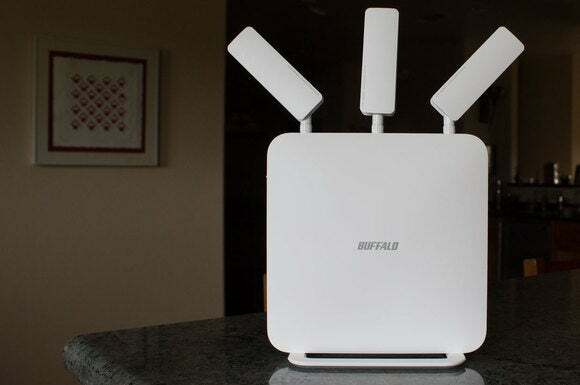 Fans of open-source software might initially find Buffalo’s WXR-1900DPHD appealing because it uses the open-source DD-WRT firmware. 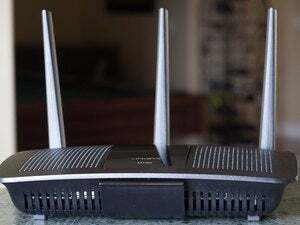 This firmware is famous for unlocking hardware features that router manufacturers choose not to expose to end users for one reason or another. 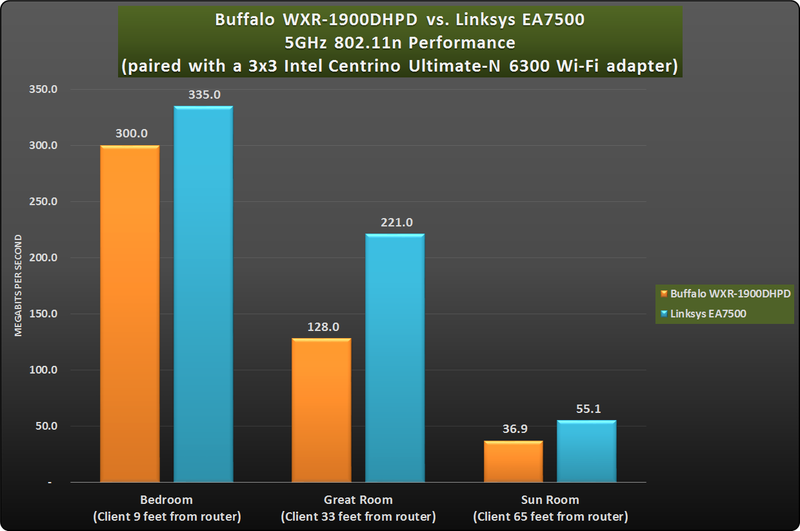 But that’s not the case here, because Buffalo chose the underdeveloped DD-WRT NXT build, which is stable but not at all comprehensive when it comes to enabling this router’s hardware features. 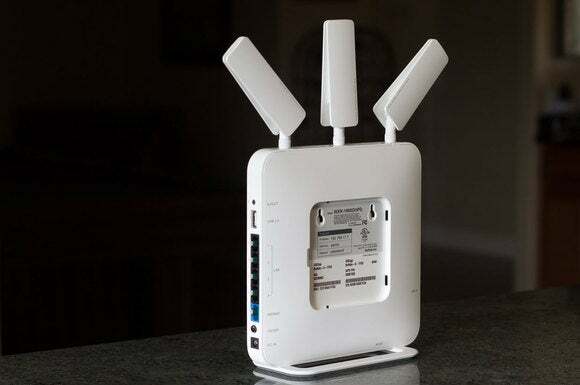 Note: This review is part of comparison of other AC1900 routers. Click here to go to the introduction to that story. One of the most disconcerting omissions is the absence of support for either of the router’s USB ports (there’s a USB 2.0 port in back and a USB 3.0 in front). Whether you’re looking for Time Machine support to back up your Mac, interested in streaming media from shared hard drive, or intend to share a USB printer or scanner over your network, the WXR-1900DPHD’s USB ports are absolutely useless with the currently available firmware. With a Windows PC as a client, Buffalo edged out the Linksys EA7500 in most of my 802.11ac benchmarks. The opposite was true of its 802.11n performance. I initially thought that the router didn’t offer a guest network, either, but then I realized that its user interface just doesn’t label that feature as such. You can create multiple virtual access points and set up one or more of them as a guest network that will enable visitors to access the Internet, but prevent them from accessing other aspects of your network. But you have to know what you’re doing to set it up correctly. 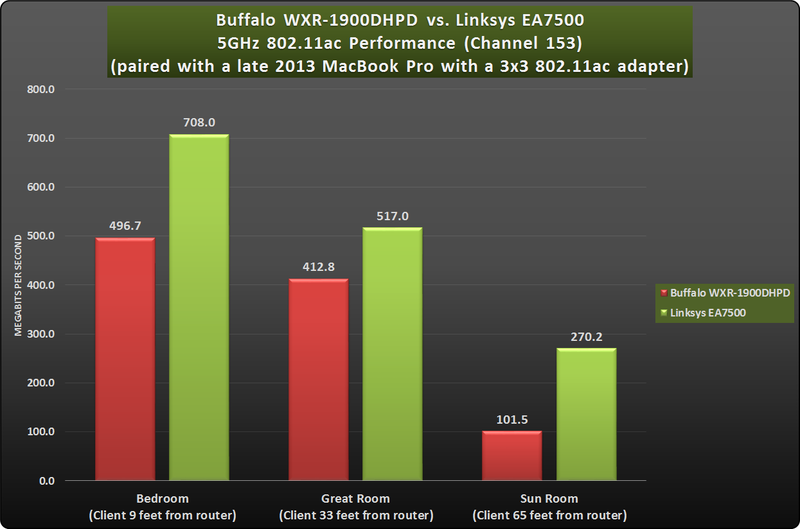 When using a MacBook Pro as an 802.11ac client, the Linksys EA7500 thrashed Buffalo’s WXR-1900DPHD on both the low and high channels. 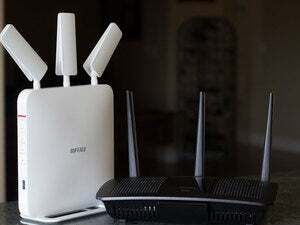 The firmware doesn’t have any parental control features, apart from turning off Wi-Fi (the entire network) and Internet access (on a per-client basis) according to a day and time schedule. But you can configure it to work with a third-party DNS (domain name server) provider. DD-WRT NXT lists several such services as preconfigured choices—including DynDNS, ChangeIP.net, and No-ip.com—but you can pick whichever service you like. Third-party DNS providers make it easier for you to reach computers, servers, and security cameras on your private network via the Internet, but some providers—such as OpenDNS—can also help prevent younger users on your home network from coming into contact with unsavory websites. The Buffalo’s SSID and Wi-Fi password are printed on a removable plastic card behind this side panel. Removing the panel also exposes a pair of wall mounts. DD-WRT NXT includes support for OpenVPN and UPnP, but there is no DLNA server. Then again, its USB ports are unusable, so you can’t stream media from a connected hard drive anyway. That pretty much renders the absence of a DLNA server a moot point. For all of the Buffalo WXR-1900DPHD’s shortcomings, it isn’t a terrible router—especially when operating in 802.11ac mode. 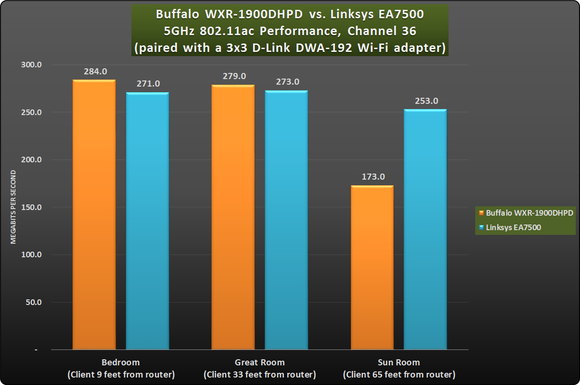 When I benchmarked it using a Windows 10 desktop PC as a server and a Windows 10 laptop outfitted with a D-Link DWA-192 USB 3.0 Wi-Fi adapter, it edged out the Linksys EA-7500 at close range while using channel 36 on the 5GHz frequency band (it didn’t fare nearly as well at long range). It performed even better (including at long range) when I switched the router to operate on channel 153 on the 5GHz frequency band. When I benchmarked its performance with an 802.11n client on the 5GHz frequency band, on the other hand, it was its Linksys competitor prevailed. 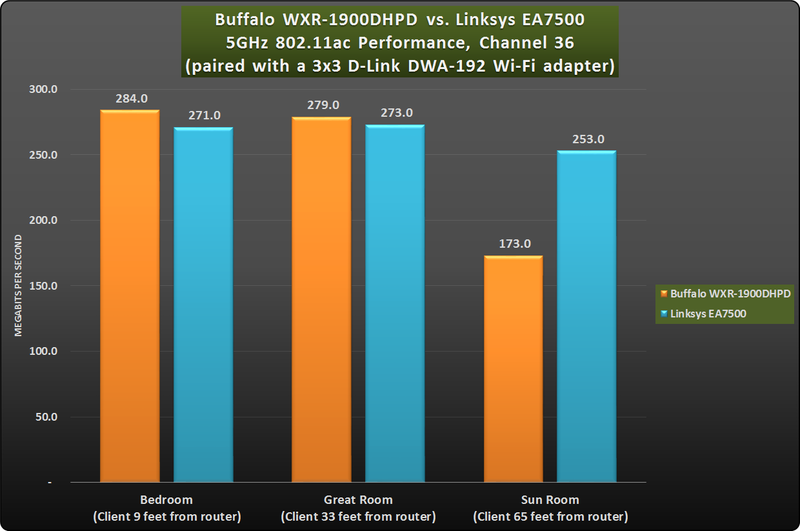 The WXR-1900DPHD isn’t bad when it comes to wireless throughput, but this router’s paucity of features leaves little else to recommend it. 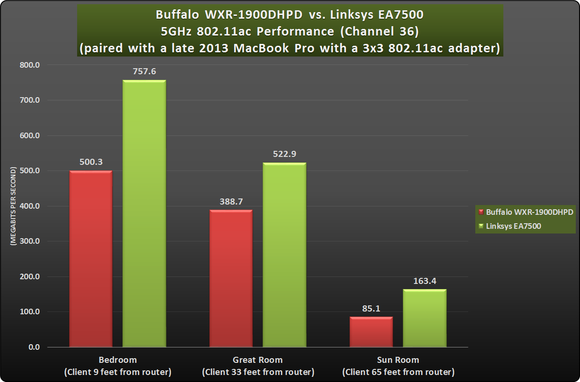 This story, "Buffalo AirStation Extreme WXR-1900DHPD review: Open-source firmware is supposed to be a good thing" was originally published by TechHive. 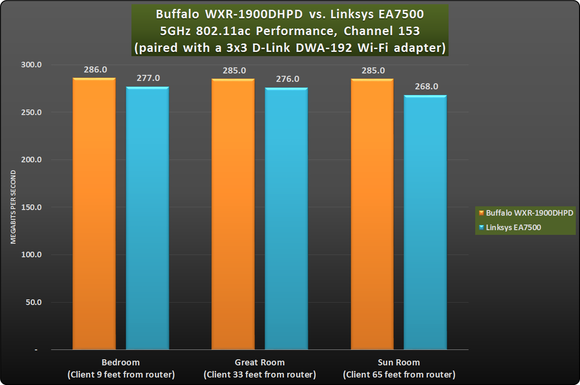 The ability to run alternative open-source firmware is typically a plus, but the DD-WRT NXT that Buffalo chose for its WXR-1900DHPD doesn't even support all of this router's hardware.